The 2015 Gold Cup winner Coneygree is set to Cheltenham - the venue for his greatest triumph, as he makes his first start in almost a year. The 11-year-old looked to have a huge future when becoming the first novice to land the Gold Cup for over 40 years, but his progressed has been stalled by multiple training problems. This has restricted him to just five outings in three seasons, and has not run since he was pulled up in the Ladbrokes Trophy at Newbury last December - won by Total Recall. 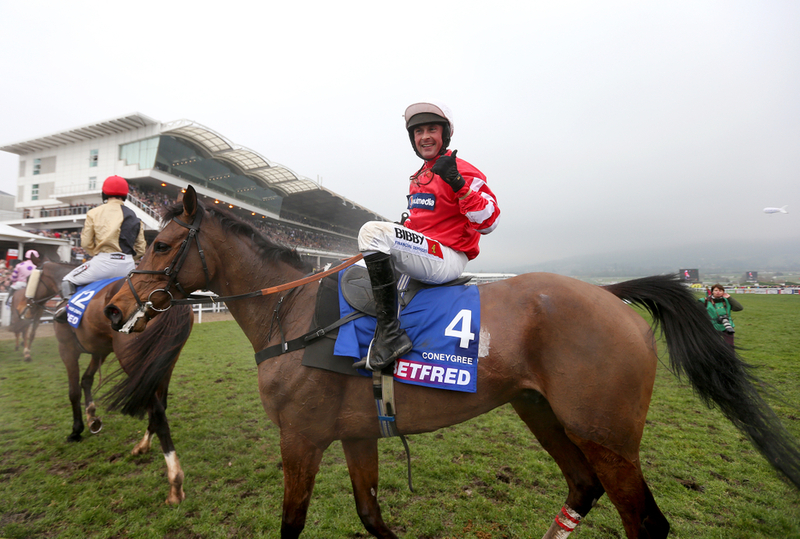 Coneygree - owned by the Max Partnership, is now poised to tackle the 3m3f BetVictor.com Handicap Chase on Saturday, on his first visit to Cheltenham since his heroic Gold Cup win three years ago. Trainer Mark Bradstock said: "We wanted to go to Down Royal but the ground was not right and it was the same at Ascot last week. "But we've had a nice drop of rain and I hope that Cheltenham will be fine. "We've had Sean Bowen in schooling him, because Nico de Boinville was not available due to injury. He jumped eight fences and was absolutely brilliant." Coneygree has missed the last three Cheltenham Gold Cups but he was a creditable close third behind Sizing John in the Punchestown version last year. Connections feel, this will be the last roll of the dice to prove his fitness.